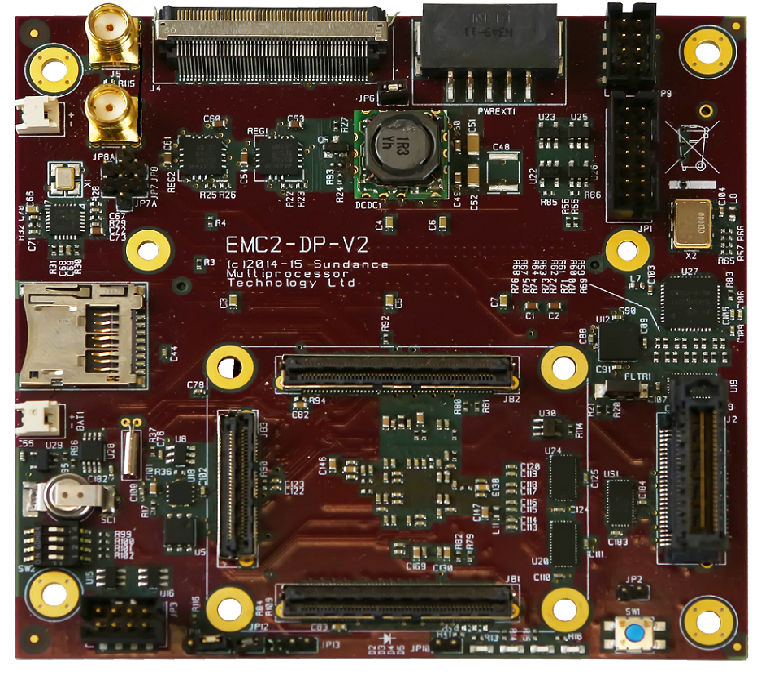 The EMC²-DP is a PCIe/104 OneBank™ Carrier for Sundance SOM3 module based on PolarFire. 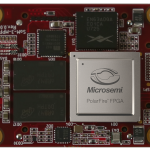 It is also compatible with Trenz SoC Module and has expansion for a VITA57.1 FMC™ LPC I/O board and also has I/O pins, using a 100-way Samtec RazorBeam connectors system. 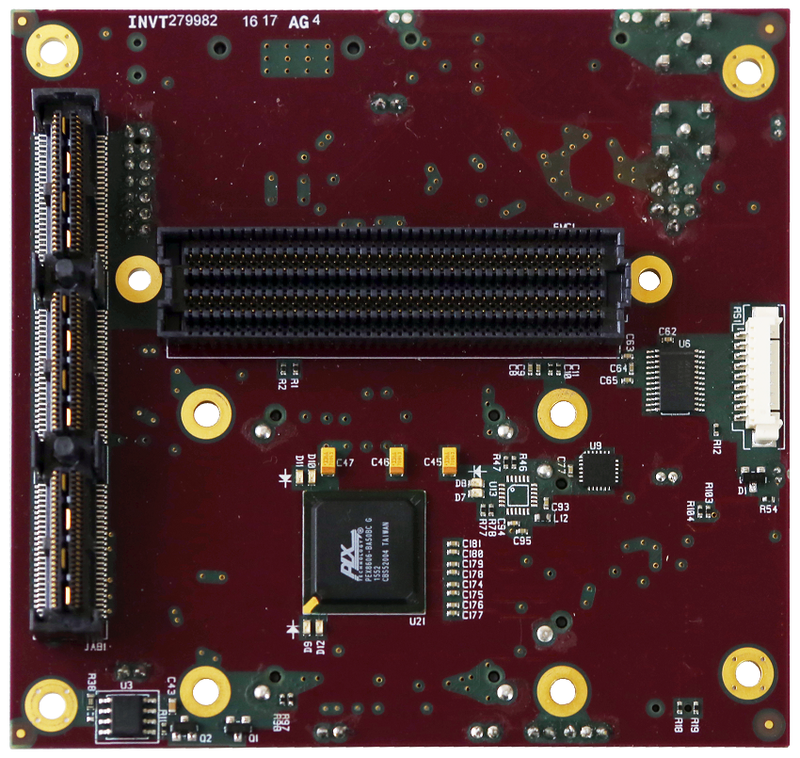 The add-on board, called “Sundance External Interface Connector – SEIC” contains LEDs, RS232, USB2.0, HDMI, 1Gb Ethernet and SATA . 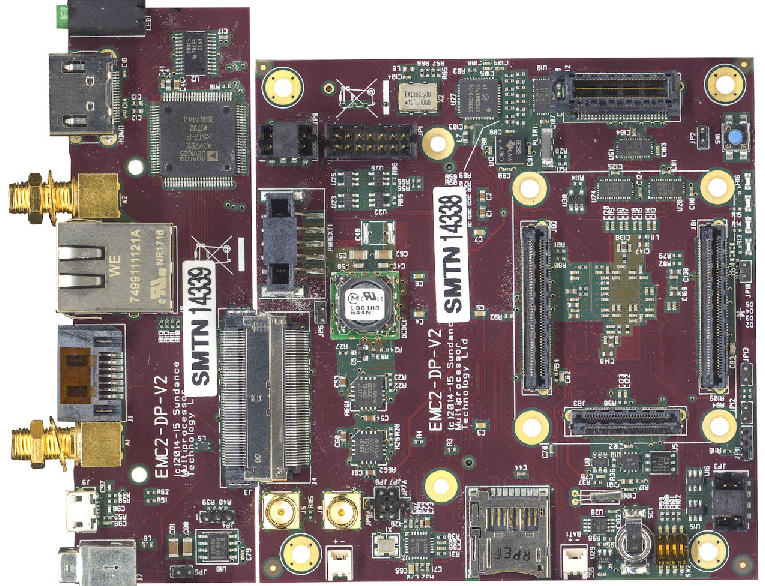 The “SEIC” can be customize for individual applications and bespoke connectors. 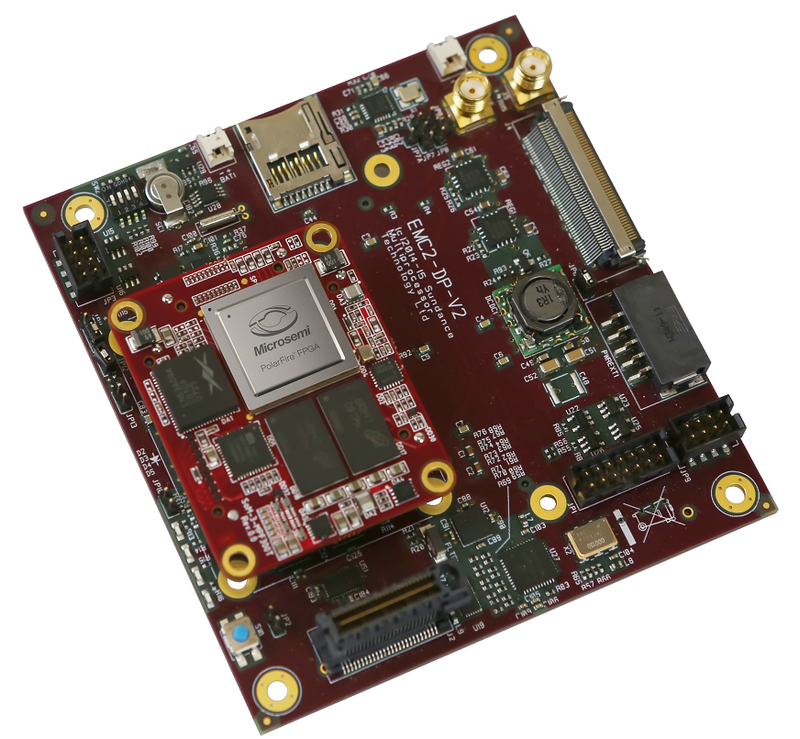 The PCIe/104 OneBank™ design enables the EMC²-DP to be added to robust and rugged installations for various commercial, medial, industrial and military uses.